CAM is a full service sweeping and maintenance service. When you choose CAM, one call does it all! We are a member of our local Better Business Bureau and NAPSA, as well as SIMA, IFMA, BOMA, and the Apartment Association. CAM offers a wide variety of exterior maintenance services. Use the link to the right to go to our website (www.camcolorado.com) for a complete overview of services and to get a quote for the services you need. We are a contractor with a reputation for quality service. 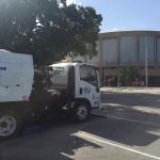 Cam Colorado provides power sweeping services in Denver and Greenwood Village, CO, and the surrounding areas. 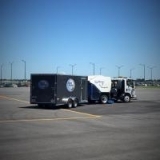 We handle all types of sweeping, including parking areas, construction sites, roadway construction, airports and municipal street sweeping. We utilize technologies such as GPS and voice communications to track the time and duration of service on your property. Our highly trained personnel complete power sweeping jobs at night and Day Porters provide services during the day. We'll be glad to provide a reference list and, because of our large size, you can be sure that we have the employees and equipment to handle your job. We provide extensive insurance coverage and will be glad to provide a copy of our insurance certificate. CAM Services does much more than power sweeping! Ask us for More Detail! Call us today at 303-295-2424 or, for more information, visit our website at www.camcolorado.com.